Ferrari, A. C. & Basko, D. M. Raman spectroscopy as a versatile tool for studying the properties of graphene. Nat. Nanotechnol. 8, 235–46 (2013). Verma, P., Ichimura, T., Yano, T., Saito, Y. 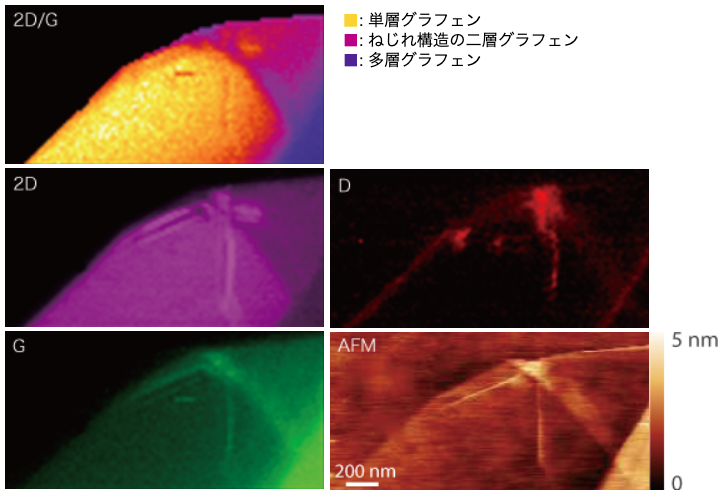 & Kawata, S. Nano-imaging through tip-enhanced Raman spectroscopy: Stepping beyond the classical limits. Laser Photon. Rev. 4, 548–561 (2009). Yano, T. et al. Tip-enhanced nano-Raman analytical imaging of locally induced strain distribution in carbon nanotubes. Nat. Commun. 4, 2592 (2013). Chen, C., Hayazawa, N. & Kawata, S. A 1.7nm resolution chemical analysis of carbon nanotubes by tip-enhanced Raman imaging in the ambient. Nat. Commun. 5, 3312 (2014). Kim, K. et al. Raman spectroscopy study of rotated double-layer graphene: Misorientation-angle dependence of electronic structure. Phys. Rev. Lett. 108, 1–6 (2012). Jorio, A. 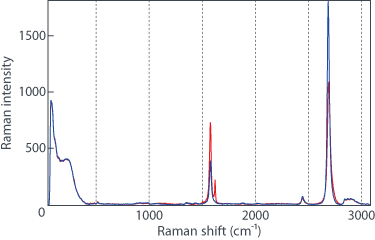 & Cançado, L. G. Raman spectroscopy of twisted bilayer graphene. Solid State Commun. 175-176, 3–12 (2013). Carozo, V. et al. 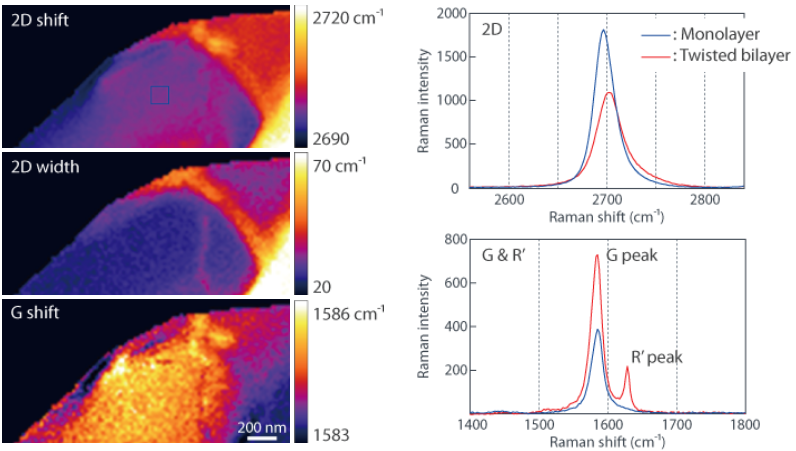 Raman signature of graphene superlattices. Nano Lett. 11, 4527–4534 (2011).